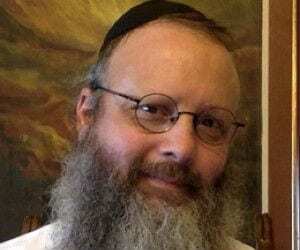 Rabbi's Post-Holocaust, Pre-Messiah Letter to God - Breaking Israel News | Latest News. Biblical Perspective. What’s with the Final Redemption? We could really use it now. I know, I know, we have it SO good compared to previous generations, most recently the generation of the Holocaust. I mean, they must have REALLY begged You for YEARS to bring Moshiach, and, well, here we are today, still Moshiach-less. I am not questioning Your judgment AT ALL. You have Your calculations, and I have learned a little about how complex and MYSTERIOUS they can be. You’ve known from “Day One” what has to be accomplished throughout human history, and I am sure everything is just fine by You, and on schedule. The view from Heaven always includes past, present, and this is the best part, FUTURE as well. Being perfect, everything You DO is perfect. No matter how much we conspire to undo Your good, and do things our own limited and self-destructive way, I know that You’re always tons of steps ahead of us, righting our wrongs before we have even committed them. But I have to tell you, the view from here is, well, let’s just say, not nearly as pleasant as Yours. We don’t have a good handle on the present because we tend to ignore the past and have little or no knowledge of the future. Once upon a time we had prophets. Today, we seem more interested in profits. We could sure use some of the original kind, although we probably wouldn’t listen to them anyhow. After all, You left us prophecies, and hardly anyone pays attention to them. They warn about events destined to occur at the End-of-Days, but people act as if that will only happen in a parallel universe, not their own. A lot of good that does. You even allowed us to witness some of those prophecies coming true before our very eyes. I mean, here we are again, after TWO THOUSAND years, back in our land, just as You predicted! How many other nations have experienced such a national revival after so long? NONE. You gave us the land in spite of ourselves, and despite so much international pressure to keep it away from us. Our “neighbors” even had the audacity to fight You over it, and were beaten back every time. We’ve never had the manpower or machinery to last this long, at least not without YOUR help. The miracles have been MANY, and AWESOME, and yet too few of Your children seem to notice that. Some have even taken to trying to reverse what You have done, again. There are a few of us who believe that all Your miraculous kindness to allow the Jewish people come home and prosper, materially AND spiritually, is a sign of impending redemption. But for the rest of the nation it’s still a VERY hard sell. I get their issues, and I sympathize with their problems. My brothers and sisters in the Diaspora are firmly rooted in their foreign lands. They’ve bought homes and taken out mortgages. They have started businesses and built up entire communities. They have good yeshivos (Torah learning institutions) and, let’s face it, GREAT lives. For some, it’s like living in the Messianic Era, just WITHOUT Moshiach (Messsiah). Furthermore, how much were they taught about redemption growing up? Yes, the Talmud says that this is one of the six questions we will be asked on the Day of Judgment: “Did you anticipate redemption?” How many people were even told that in yeshivah, or shul (synagogue)? How many rabbis or teachers spoke about that from the bimah (pulpit) during the last 50 years? Exactly! So most people grow up in the Diaspora NOT anticipating redemption. Why should they, if they believe they are living it while in exile? If you haven’t built a redemption framework as a child, then you end up without a redemption framework as an adult. Once upon a time, before the Diaspora became so cozy for Jews, great rabbis warned us about giving up on redemption. Even the TALMUD warned us about giving up on redemption. But how many even learn those seforim (holy books) or sections of Talmud today? If only people would study that holy sefer “Ohr Yechezkel,” by the Mashgiach Ruchani of the Mir and Ponovez yeshivos in the 1960s, Rabbi Yechezkel Levenstein, zt”l (of blessed memory). In “Emunas HaGeulah,” he tells it like it is, or at least the way it’s supposed to be. And he was brave enough to tell the Torah world how EMPTY their prayers are when they ask for a redemption they do not even take seriously. You are a MERCIFUL God, however. If it were up to mankind, we’d probably have abandoned the Jewish people long ago. But there You are, as always, sticking with us, even making events occur to wake us up and smell the coffee, so to speak. You know what I mean. Antisemitism, of course, is the most obvious of these events. Well, to some of us at least, those who realize that antisemitism is not just racism. Racism is against people with undesirable differences. Antisemitism seems to get worse as differences between “us” and “them” grow smaller. That’s why they say things like “There’s nothing better for the Jew than antisemitism.” Unless, of course, the “Jew” is trying to assimilate. It was Hitler, ysv”z (may his name be wiped out), who basically taught us, in no uncertain terms, that all the waters in the world can’t baptize a Jew. And some gentiles have STILL wanted to convert to Judaism? It’s a hot topic, antisemitism. It’s increased so very much in recent times. Actually, it has never really gone away, just our ability to recognize it for what it is. Ya’akov Avinu (our father) understood that antisemitism was as natural as the sun rising and setting each day. He knew about his father-in-law’s hatred for him (Lavan was the Arami that the Haggadah says tried to kill us), and that it was only held in check by God, MIRACULOUSLY, so that he could accomplish what he had to while at Lavan’s home. So after 20 years of living somewhere else, Ya’akov Avinu uprooted it all. True, he had been living in someone else’s home the entire time. True, he didn’t have a mortgage to pay off, or relatives who could not move with him. True, he was going back to an already established home, where his parents lived and awaited his return, and the chinuch (religious education) was probably a LOT better. Dealing with all THOSE THINGS, as many Diaspora Jews have to, definitely warrants divine assistance, some of it, perhaps, even with the help of the Jewish Agency. Absolutely it should invoke a lot of sympathy and empathy from those already living in the Holy Land (Israel, in case someone is confused). Anyone thinking, “I told you so,” should keep it to himself. Okay, so you WARNED people decades ago that the end was near and that they should start thinking about making aliyah. So you chided rabbis for not teaching their congregations and students about redemption. So you WERE prophetic. It still doesn’t give you the right to shove it back in their faces at a time when people need mercy and support. I’m sure God feels the same way. But if “Churban (the destruction of) Europe” taught us anything at all, it is that when it is time to go, it doesn’t matter how rooted we have become in the Diaspora. There were people who saw what was coming and left most of what they owned behind, getting out while they could. They lived and were able to start their lives in better places. The rest only lived long enough to wish they had. Almost everyone else not only lost their “roots,” they lost their lives, and in the cruelest ways possible. They witnessed the extinction of entire families. More than one must have wondered to himself why he did not get out earlier, like some of his family and friends did— those who at one time had seem to be overreacting. Which brings me to the reason for this letter, dear God. Why don’t we EVER get it? Why do we ALWAYS seem to repeat our errors? A terrible act of antisemitism occurs and Jews minimalize its meaning. An antisemitic Arab is accepted into the American political system with open arms, and Jewish leaders merely respond to Democrat leaders by calling it a “slap in the face.” Why don’t they talk about it with YOU instead, and pray for insight into what it REALLY means? History is screaming “antisemitism!” but Diaspora Jews are only hearing “racism!” They’re hearing the antisemites talk, and not God. You are saying, “Good work, the job is done, it’s time to return home,” but they’re hearing, “Write to your congressperson and right this official wrong!” Aren’t they missing something? Sometimes when I look back over the millennia, I wonder if everything that has happened, and WILL happen, is truly b’shert (meant to be). Maybe it just HAS to happen. Perhaps, for reasons beyond our understanding, the suffering just HAS to take place. Stop the War of Gog and Magog? Maybe it’s simply impossible. Maybe it truly is written in stone, the ones Moshe Rabbeinu descended Mt. Sinai with—the SECOND time. This would explain why we do not learn from history, even though we have been warned to, and let it repeat itself at OUR expense. It would explain why some people just NEVER see the truth until it is all over them, and they can’t escape it—literally. It would clarify why, no matter how many sources I marshal, and “evidence” I muster that we are close to the Final Redemption, people just balk. UGHHHH! It’s SO frustrating, like a splinter in your mind that is annoying you but which you cannot remove. But I guess if Moshe Rabbeinu couldn’t remove it until You told him to, or did it for him, then why should we expect something different? We shouldn’t. So, where does this leave me, besides intellectually challenged and emotionally uptight? I guess, where it always does, before You and with a prayer in my mind and heart. It may not help Jewish history, but at least it will help me feel as if I tried.